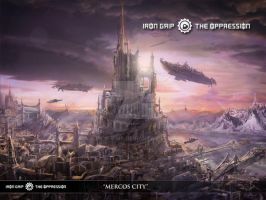 The airships are attacking an Atelian city. Damn, i wonder what would have happened if the Reich got these warzeppelins. 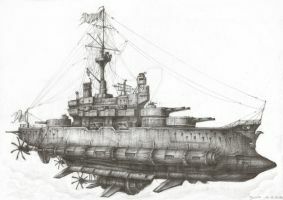 I would love to see two Airship fleets in battle. truly amazin, buddy. I like your style. It looks a little like the artwork from the older WH40k Codexes. I was listening to Iron maiden-Mother Russia when I saw this. Though - as i can see it - it's a nice picture. Well done!